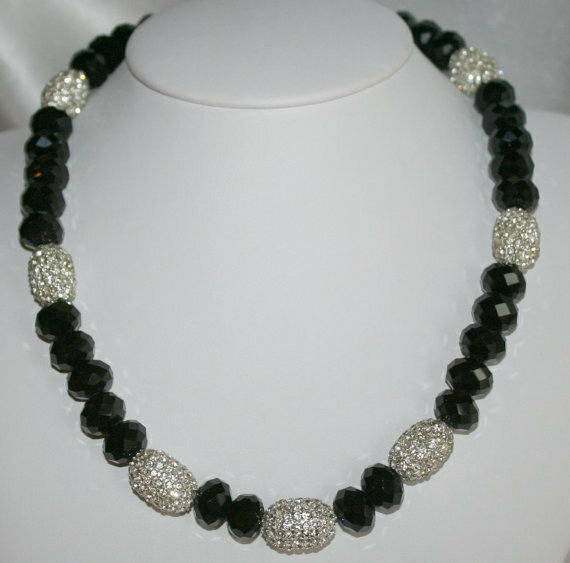 Black crystals and silver rhinestone bead statement necklace made with black faceted crystal abacus beads approximately 12x8mm and sparkling rhinestone silver barrel beads approximately 18x13mm each. 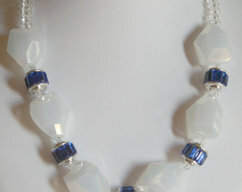 The rhinestone beads are a little on the heavy side so I only used a few on this necklace. 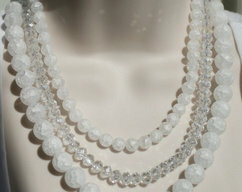 The length is about 18 1/2 inches and it is finished with a Tibetan silver fancy floral "S" clasp. 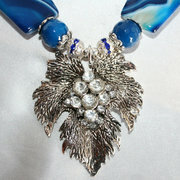 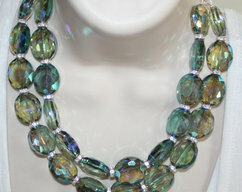 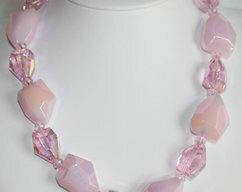 This is perfect for a wedding statement necklace, parties and especially New Years Eve.